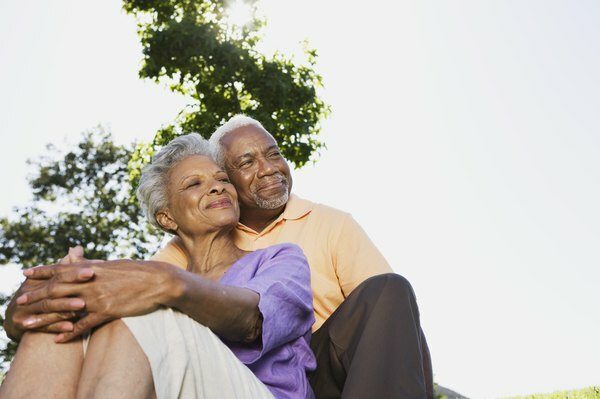 Group annuities and registered 401(k) plans are methods to save for retirement. Employers can choose to establish retirement savings plans for their employees. These plans can include contributions from both employers and employees, depending on the structure of the plan and the nature of the employer's organization. Two of the most popular types of employer-sponsored, tax-deferred retirement plans are group annuities and the registered 401(k) plans. Public sector and nonprofit agencies frequently use group annuity plans, while businesses typically establish registered 401(k) plans for their workers. Group annuities are insurance contracts that provide retirement savings plan sponsors and their employees the benefits of limited start-up costs and easy administrative procedures. The low initiation fees make group annuities an attractive option for nonprofit agencies that want to provide retirement plan options to their workers. Another major benefit of group annuity contracts is that they contain guaranteed minimum benefit payouts. This guarantee enables both employees and employers to plan around these payouts when employees qualify to receive them. Despite their low start-up costs, the key disadvantage to group annuities is the complex and obscure fee structure within their contracts, such as a "surrender fee". The insurance company charges a surrender fee to prevent plan sponsors from making early withdrawals or dropping the plan for a better option. Some group annuity plans can charge 2 percent or more of the total plan assets in annual account maintenance fees. If an agency elects to start a plan with $10 million in assets, these annual fees can rise to $200,000 or more. A major advantage to using a registered 401(k) over a group annuity plan is the absence of many of the hidden fees found in group annuity plans. For instance, the group annuity offered by investment firm John Hancock contains the JH American Funds Growth Fund of America. While annuity investors pay annual fees of 0.91 percent for this fund, other 401(k) investors can contribute to an identical fund at less than half that rate. Due to their complex nature, 401(k) plans often require higher upfront costs. These costs can be prohibitive for small businesses seeking to establish retirement plans for their employees. Also, since 401(k) plans often include mutual funds in their portfolios, they cannot guarantee a rate of return that will outpace inflation or cost-of-living increases. Employees who seek to cash out their 401(k) contributions before the age of 59 1/2 must pay a 10 percent penalty to the Internal Revenue Service. Human Investing: What is a Group Annuity?